This textbook is suitable for the following courses: Introduction to Project Management and leadership courses in technical fields, such as nursing, engineering, and computers. 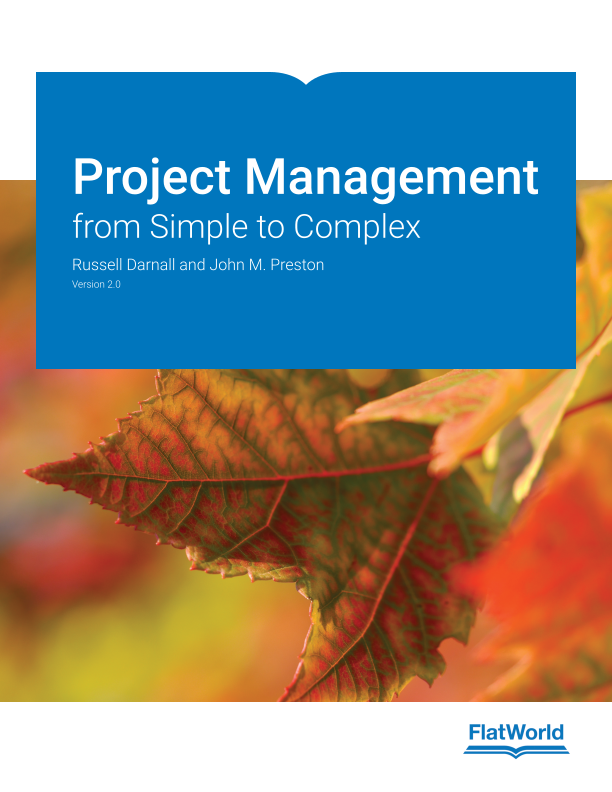 Project Management addresses all of the project management fundamentals, while emphasizing the priorities of a project manager: managing client expectations, profiling projects, and understanding the technical aspects of managing a project. Russell W. Darnall has more than fifteen years managing large projects in the U.S., Ireland, India, and South America. He was a reviewer on the 1996 edition of the Project Management Body of Knowledge (PMBOK) the helped standardize the definitions of the field. He has written two books on project management including The World's Greatest Project that was published by the Project Management Institute and is a sought-after speaker for International Conferences on project management. Darnall won the Educator of the Year award 2004-2005 from the South Carolina Technical Education Association. John M. Preston is an Associate Professor at Eastern Michigan University in the Technology Management program in the College of Technology. He has authored or co-authored more than sixty books on using computer software and on the impact of technology on society. His work includes portions of the Go! textbook series for MS Office 2003 and Computer Literacy for the IC3 2005 and 2009 standards using both MS Office and OpenOffice.org. He wrote Computers in a Changing Society (2005) and Living Online (2009). Preston won the Educator of the Year award from the International Facility Management Association (IFMA) in 1994.